A key gauge of credit vulnerability is now three times over the danger threshold and has continued to deteriorate, despite pledges by Chinese premier Li Keqiang to wean the economy off debt-driven growth before it is too late. 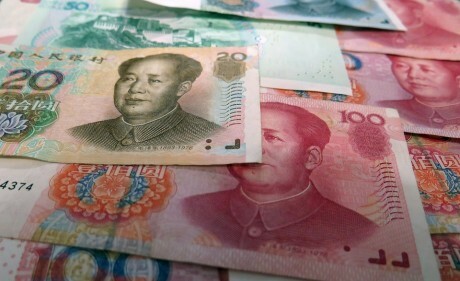 The Bank for International Settlements warned in its quarterly report that China’s “credit to GDP gap” has reached 30.1, the highest to date and in a different league altogether from any other major country tracked by the institution. It is also significantly higher than the scores in East Asia’s speculative boom on 1997 or in the US subprime bubble before the Lehman crisis. Studies of earlier banking crises around the world over the last sixty years suggest that any score above ten requires careful monitoring. Normally the Bank for International Settlements is not prone to making extremely bold pronouncements, and so this warning about China seems a bit out of character. Is something going on behind the scenes that we don’t know about? Without a doubt, the global financial system is shakier and more vulnerable than most people would dare to imagine. Global central banks have been on the greatest money creation spree in recorded history, and interest rates have been pushed to ridiculously low levels. If you can believe it, approximately 10 trillion dollars worth of bonds are trading at negative interest rates right now. This is completely and utterly irrational, and when this giant bond bubble finally explodes it is going to create a crisis unlike anything the world has ever seen before. Mr Pento has now warned that when policymakers signal they are set to stop buying, which will stop bond prices rising, there is going to be a devastating crash – not just in bond markets but across all investment assets. Many had been anticipating that we would have already seen a major financial crash in 2016, but so far things have been pretty stable, and this has lulled many into a false sense of complacency. But it is important to remember that we have seen corporate earnings fall for five quarters in a row, and it is expected to be six when the final numbers for the third quarter come in. If you remember, there was a pretty important event that happened in 1987: A massive stock market crash that sapped close to 30% of the S&P 500’s value in just five days. It is only a matter of time before this earnings recession takes a major bite out of Wall Street. Stock prices can stay at irrationally high levels for quite a while, but history has shown that every bubble bursts eventually. And when this bubble bursts, it is going to make 2008 look like a walk in the park.